Sakti, the divine mother, being very important member of the Hindu pantheon, commands much respect and worship in India. The present study deals with the intriguing problems pertaining to Saktism. 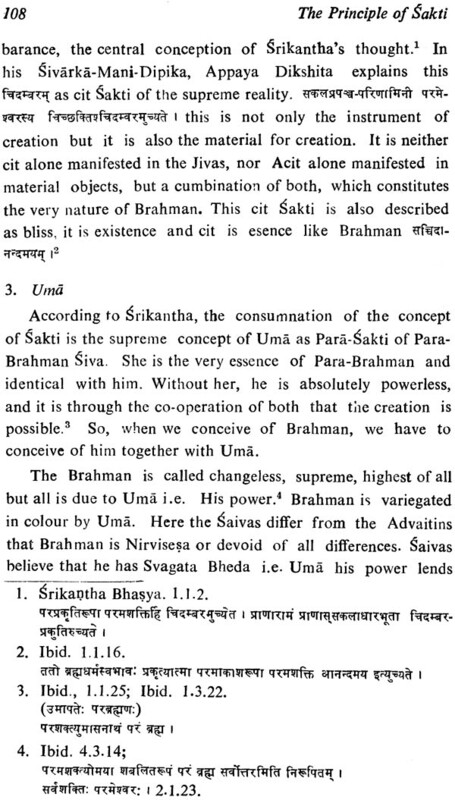 The idea of Sakti based on Upanisadic philosophy and propagated by Advaita Vedanta including Samkara, reaches its highest culmination in the Tantras where Sakti is identified with Brahmana. 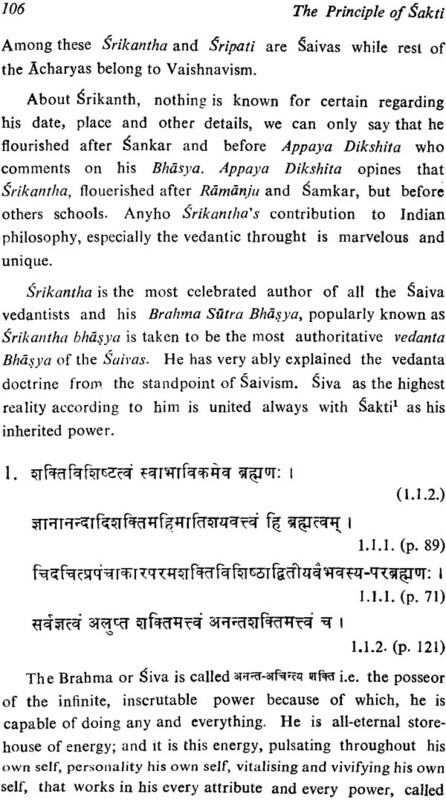 Epigraphical sources and the Puranas proclaim the popularity of Saktism in India. The book presents the manifold aspects of this important branch of Indian religion. Author has a deeper understanding of the subject, sincerity and sublimity in his treatment. The study will certainly be fascinating and thoughtful. 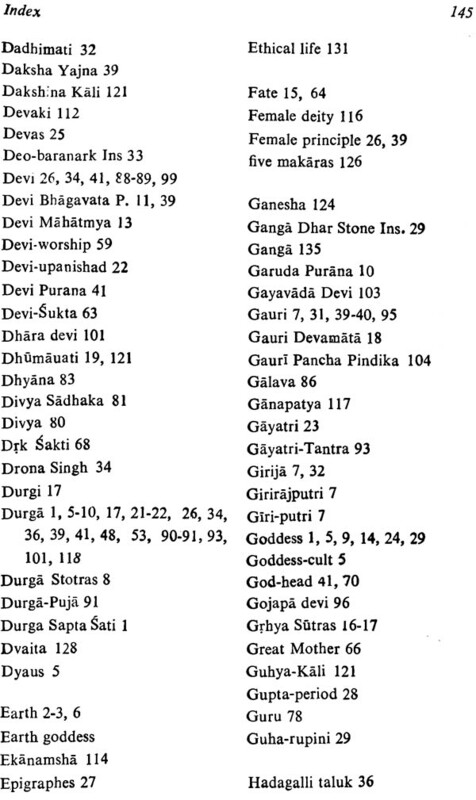 Saktism i.e, worship of the Goddess in various forms is undoubtly one of the most important and fascinating aspects of the history of Indian religions. It is attested from the very beginning of the known history of the country and still occupies a prominent place in the religious life of the Indian people. In the recent years the interest of scholars has increased in the study of this aspect of Indian religion. Saktism at best is a federation of cults and embraces within its fold, elements of the most diverse nature and origin. 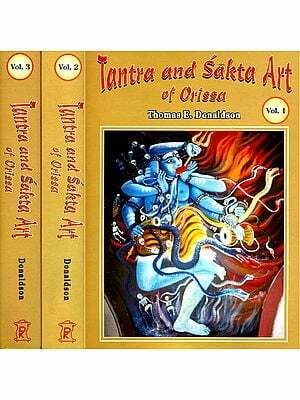 The terms Sakta and Tantric has often been used arbitrarily by modern writers. These two terms neither can be identified. as former is older and the latter is very late in its origin. nor can he distinguished sharply as there is much overlaphing. The word Shakta presents the idea of supreme power as femimine and Tantricisrn is based on mystical-magical symbolism. with which the Sakta-ideology is generally found associated. 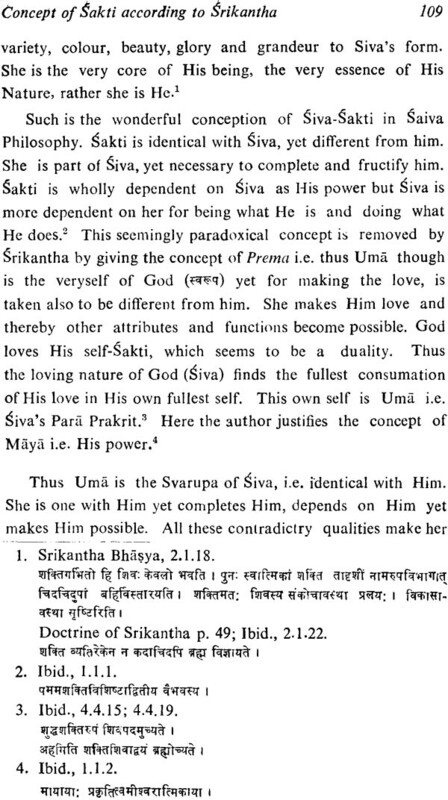 Sakti the divine Mother commends almost as much respect and worship in India as does Visnu and his incarnations. 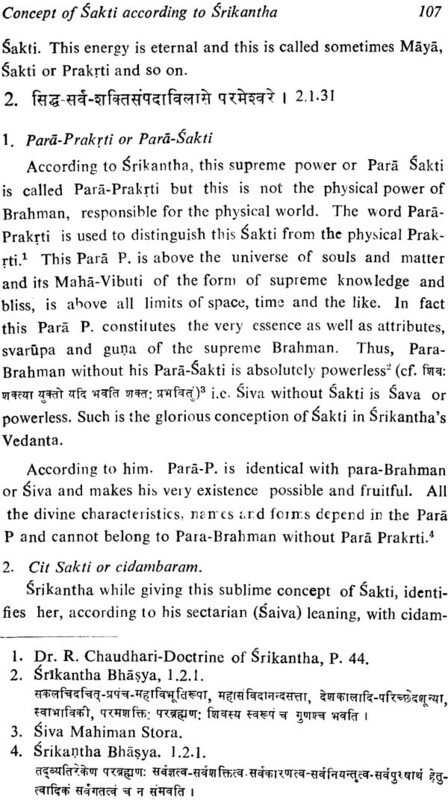 Sakti is very important member of the Hindu Pantheon. 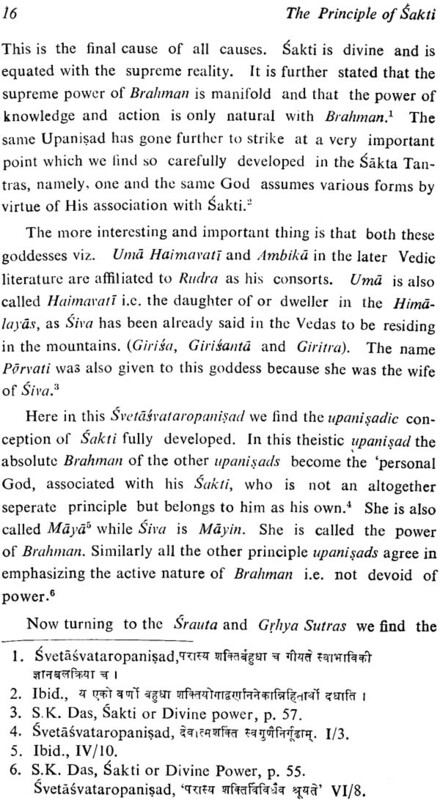 Saktism, the worship of the supreme deity as a female principle. 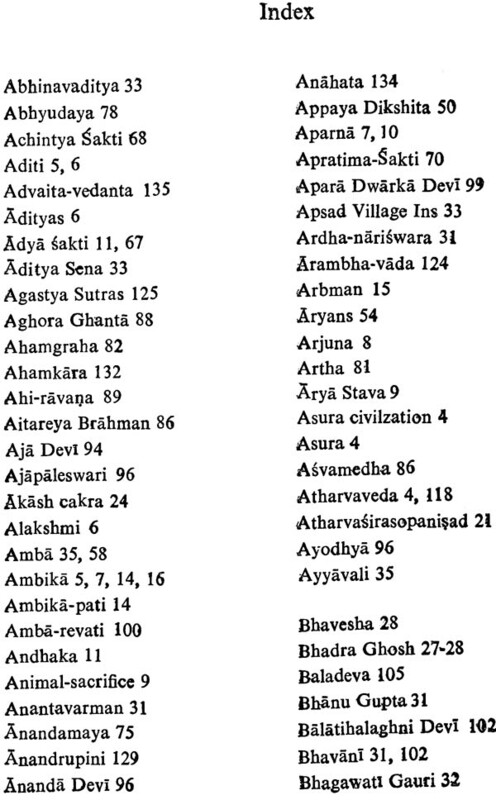 occupies a very important place among the present day Hinduism. all over India. In modern Times it has attracted the attention of the scholars all over the world. According to the Saktas. the heighest reality is the great goddess. She is. the personification of primordial energy and the source of all divine and cosmic evolution. She is the controller of all the forces in the world and the source of all. The idea of Sakti is as old as man. Man is great to the extent that the Sakti inherent in him, is magnified and his highest endeavour is to rouse this Sakti. 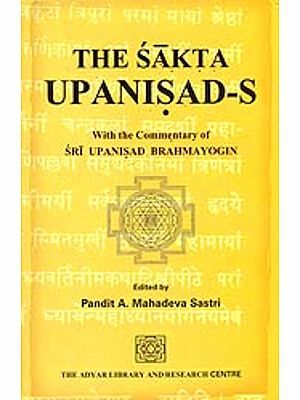 The author has given a philosophical perview of the cult of Sakti as propounded by the different schools of Indian Philosophy. 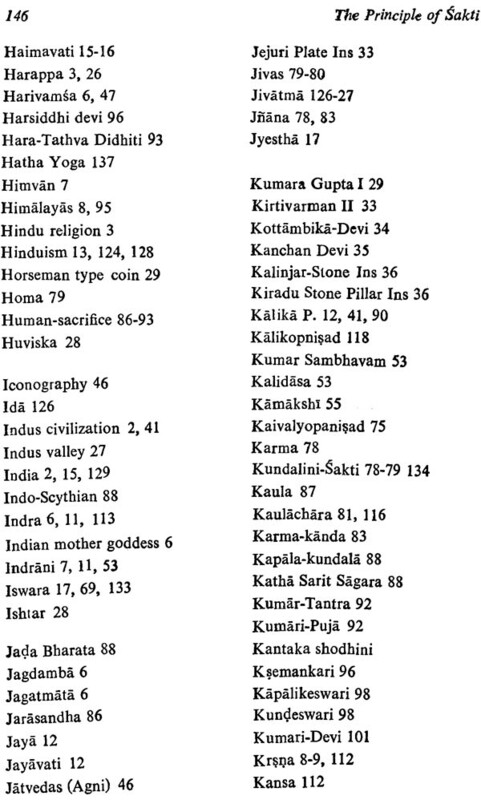 The book presents the various aspects of this important branch of Indian religion. Author has a deeper understanding of the subject and sincereity as well as sublimity in his treatment. This study will certainly be fascinating and thoughtful. The Present study deals with the intriging problems pertain-. ing to Saktism. 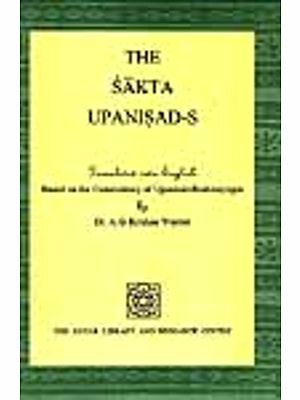 The idea of Sakti is based on upanishadic , philosophy and the vedic Mantras. 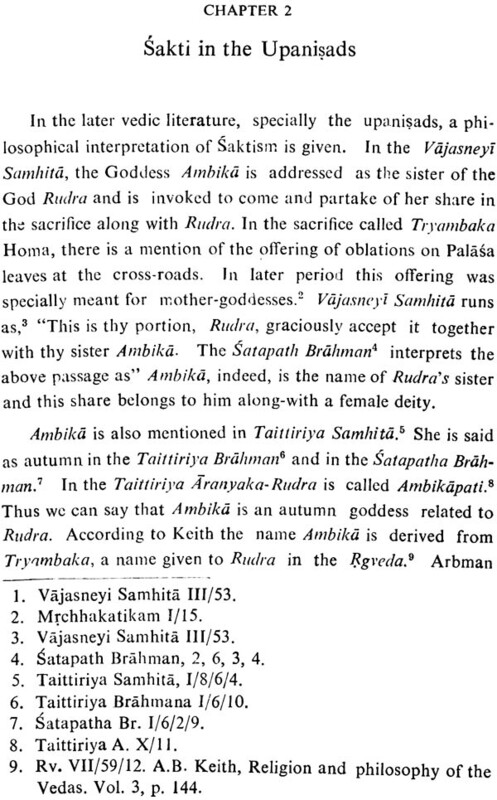 It is propagated by Advaita . 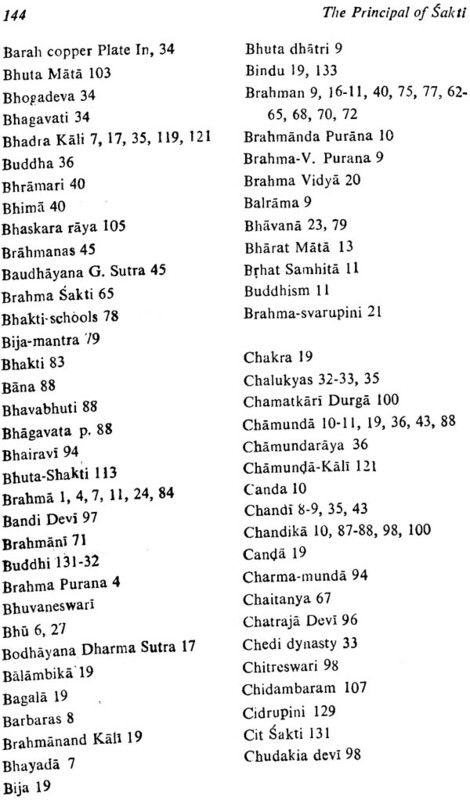 Vedant including Sankara and reaches its highest culmination. 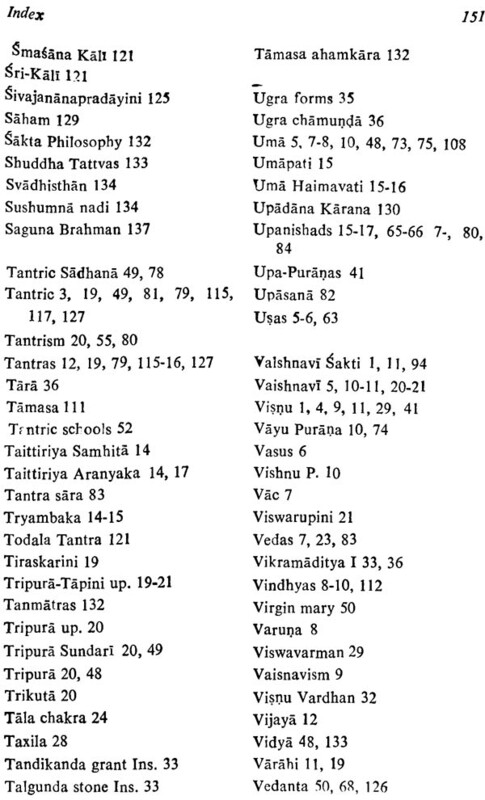 in the tantras where Sakti is identified with Brahman. Epigraphi- . cal sources proclaim the popularity of Saktism, the nature of Sakta Sadhana, including the sacrifice of one's own self has been dealt with. 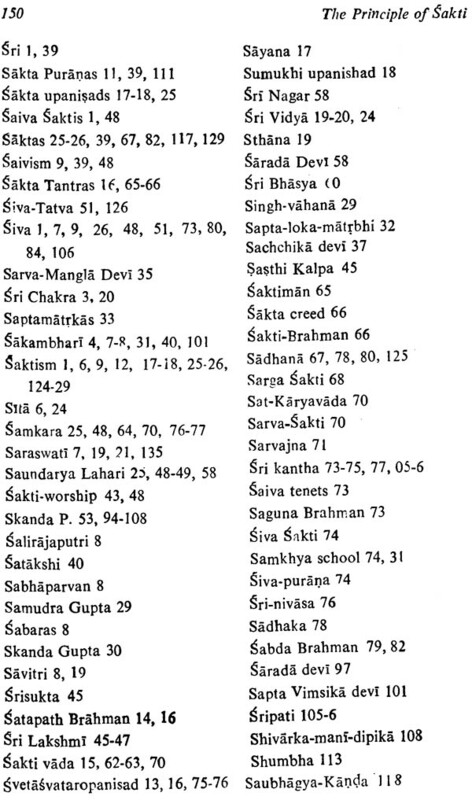 The Puranas provide us the sufficient information about the prevalance of Saktism in India during various periods . 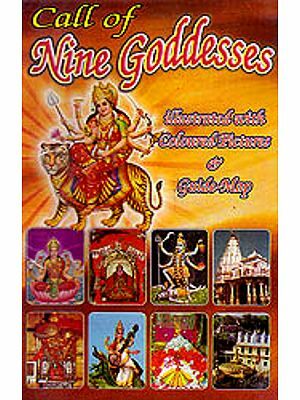 The goddess Kaili is the supreme goddess of the tantras, Thus this study will be able. I hope. to provide some importent clues to the various aspects of Saktism. The articles incorporated here were written from time to time and hene present before readers the various stages of thinking. r am very grateful to all my friends and collegues for their help and time to time encouragement. I am thankful to Mr. Shyamlat ji, propriter, Eastern book linkers, Delhi, who happily undertook the task of publishing this book. Lastly I would like to seek the forgiveness of the scholars for the mistakes which might have cropped in this book. This humble venture is to stimulate the interest of the scholars in the field of Saktism. Sakti, as the very word itself denotes, means power. It can be seen through the different phenomena of life itself. 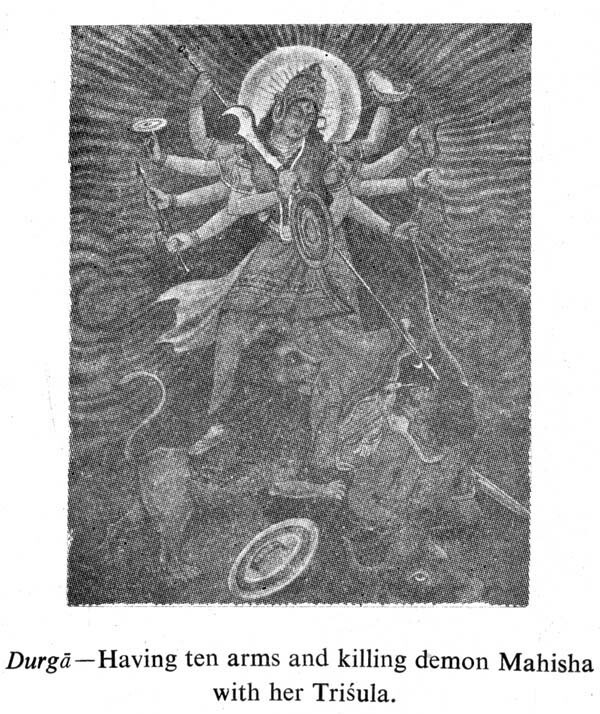 Durga- Sapta Sati says i.e. everyone of us has inherent power called Sakti, which is a part and mani- festation of Para Sakti, the supreme goddess. 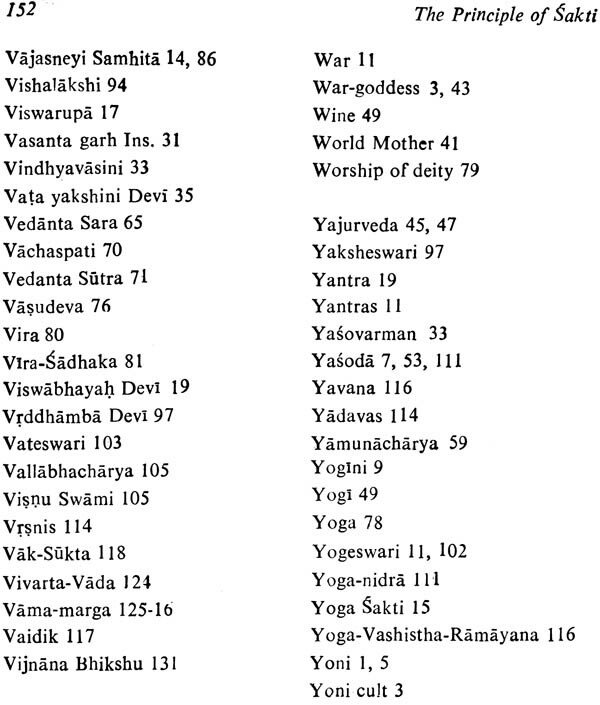 The powers of the gods came to be known and worshipped by the different names and epithets. 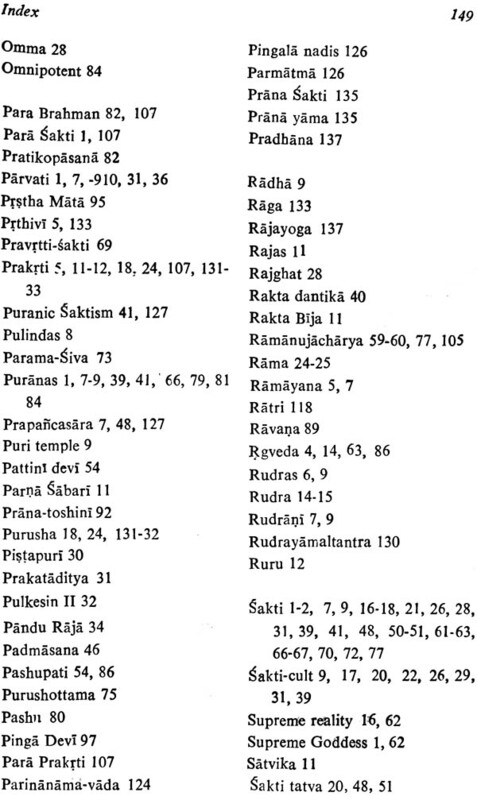 The Vaisnavi Saktis like Lakshrni, Sri, Prthivi etc. 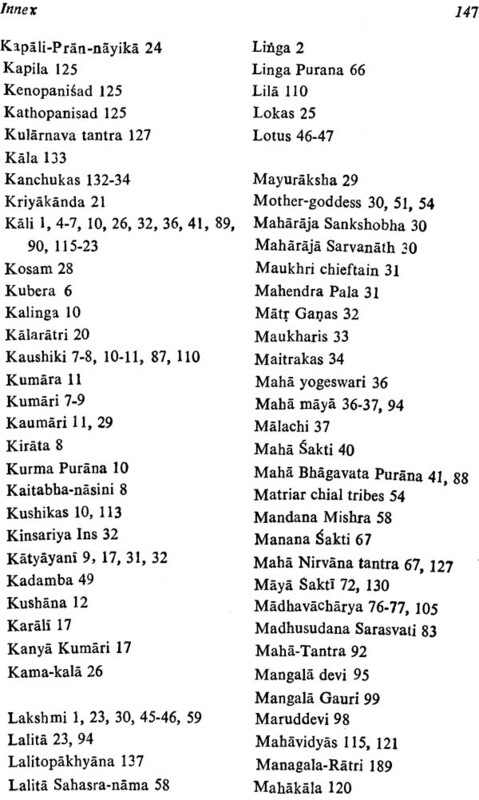 and Saiva Saktis like Durga, Parvati, Kali and so on. The trinity of Brahma, Visnu and Siva, work through their Saktis for the creation, maintenance and anihilation of the world. In the choice between the worship of the power and the possessor of the power (though being identical) it was natural for the human mind to veer round the power, that lay behind even the gods. 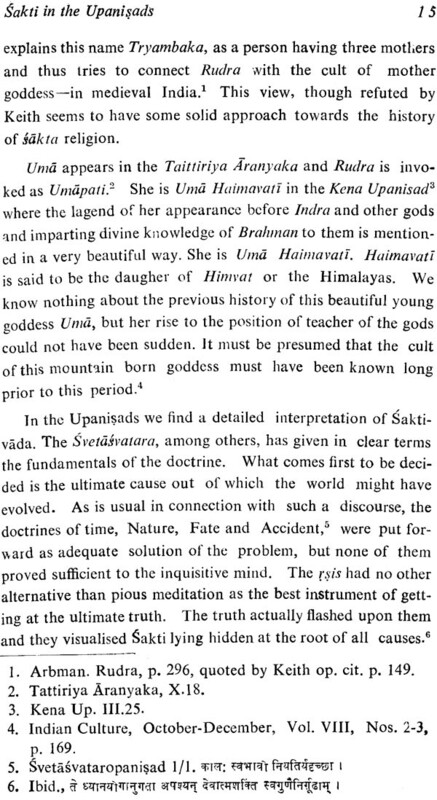 It is this that explains that in certain periods of history and in certain regions of the country, the worship of Sakti, the female deities, surpassed that of the male deities. The common belief in the principle of power led to the thinking that the life is also rooted through same power. 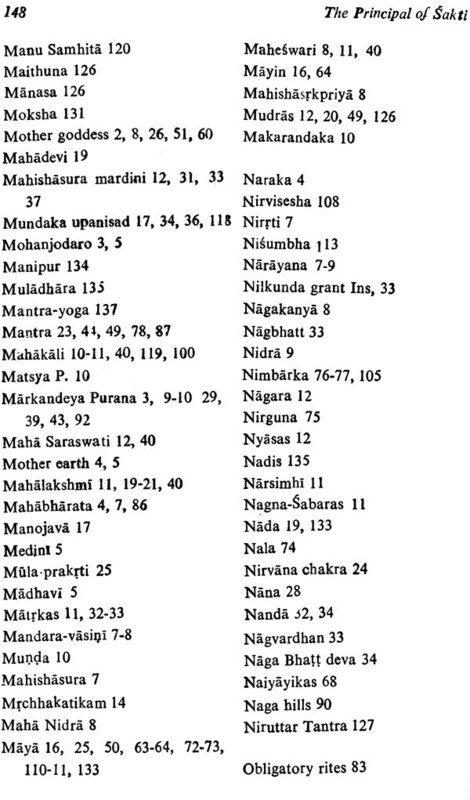 Thus there are the principal deities in every village, town, cities, countries, forests, rivers which came to be worshipped. These have provided solace to the afflicted mind of the worshipper who have sought through worship, communion with these goddesses. In the concept of Sakti we find a happy blending of two elements, one empirical and the other speculative. 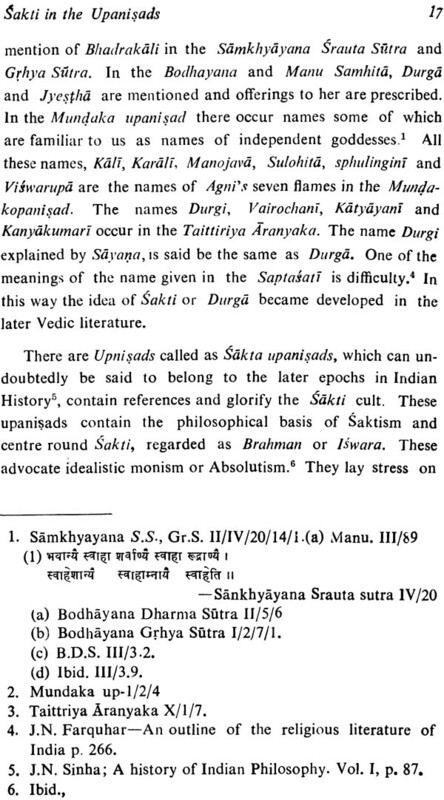 On the empi- rical side the idea of Sakti is associated witn the idea of cosmogony. The man believed that there cann't be any creation without the union of the two i.e. the male and the female. Thus man concluded the idea of the Primordial Father and the Primordial Mother. In the primitive stage of the human society the mother held the most important position and thus the cosmic mother became the most important deity. In India, from the ages of the Indus civilization down to the present time Sakti was represented by the Yoni and Siva by the linga symbols. In all the primitive societies of the world, all cultural traits including habits, norms of behaviours, inherited traditions, etc. were formed by and transmitted through the females. The woman was not only the symbol of generation, but the actual producer of life. Her organs and attributes were thought to be endowed with generative power, and so they were the life-giving symbols. This has been proved by the plentiful discovery of palaeolithic female figurines in bone, ivory, and stone with the female organs grossly exaggerated. 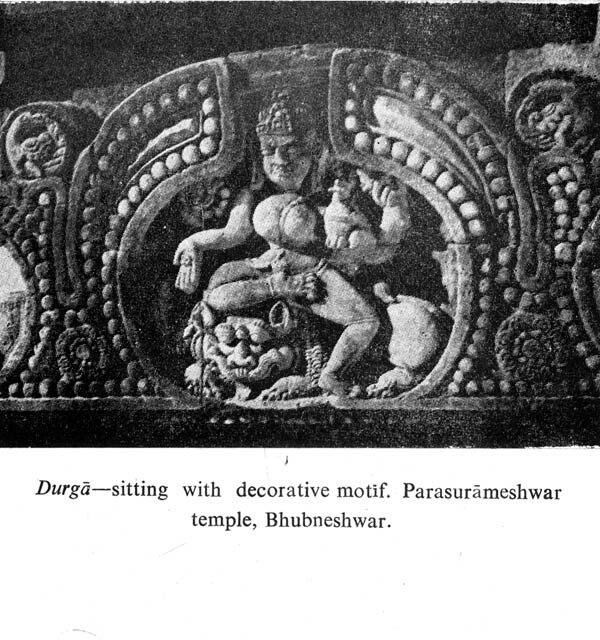 Even in the earlier stages of human history, the Mother goddess was a composite deity. Basically, she was the symbol of generation, the Female principle, conceived as the actual producer of life. She was also identified with earth who became the womb in which the crops were sown. All over the world, the earth spirit is generally regarded as female and the presiding deities of agriculture are mainly goddesses, because the idea of fertility and reproduction is connected with women. The idea that the goddess of fertility must herself be fertile, obviously led to the conception of the Mother Goddess as the protectress of children. The protectress of children cannot forsake them even in their youth and old age. She has to protect them from diseases and other troubles. That is why all over the world Mother Goddesses have been conspicuously associated with diseases. In this way many other attributes were added to her original conception, making her a compo- site deity representing the basic facts of human life. With the development of conceptual thought, the attributes and functions, in their turn, also became deified, differentiated and persona lized. The identification of earth with women, implies that the functions of the earth and those of women are alike. To bring natural productivity under control, the primitive people attach- ed supreme importance to the human generative organs and employed sexual union, or its immitation, as a means to achieve their end. The rituals of the human generative organs were once widespread and their relics are still found in the backward countries. 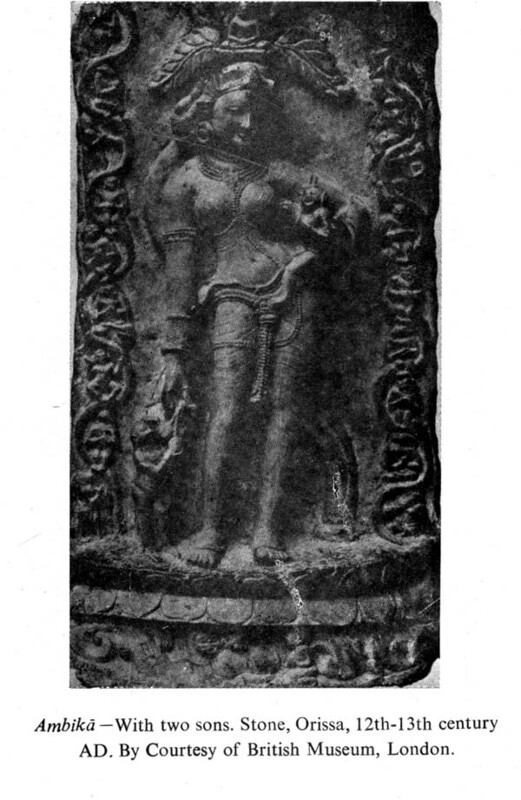 At Mohanjodaro we come across the models of linga and yoni, which were probably used as life-bestowing amulets, while at Harappa a number of conical lingas, representing the male organs and large undulating ring of stones, thought to symbolise the female principle, have been recorded." 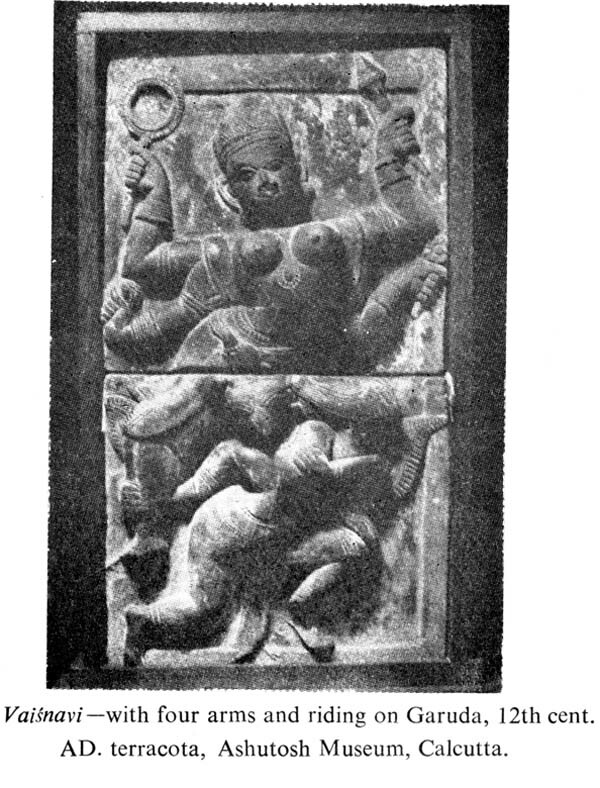 The origin of the tantric yoni-cult is deeply ingrained in this pre-historic substratum of the Hindu religion of the third millenium B.C. 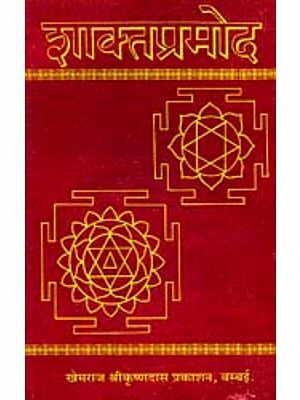 The tantric Sri Chakra is nothing but the representation of the female generative organ." Primarily, the linga was the symbol of the act of cultivation while the yoni represented Mother earth, this finds support in a statement of Manu.